Panels are a super easy way to bring in a pop of color without all the maintenance of a full head. Upkeep is minimal and bit more wallet friendly than a double process. You can start with just one and add more later. If your job or school doesn’t allow for full on unicorn hair, a great option would be a hidden or peek-a-boo panel. 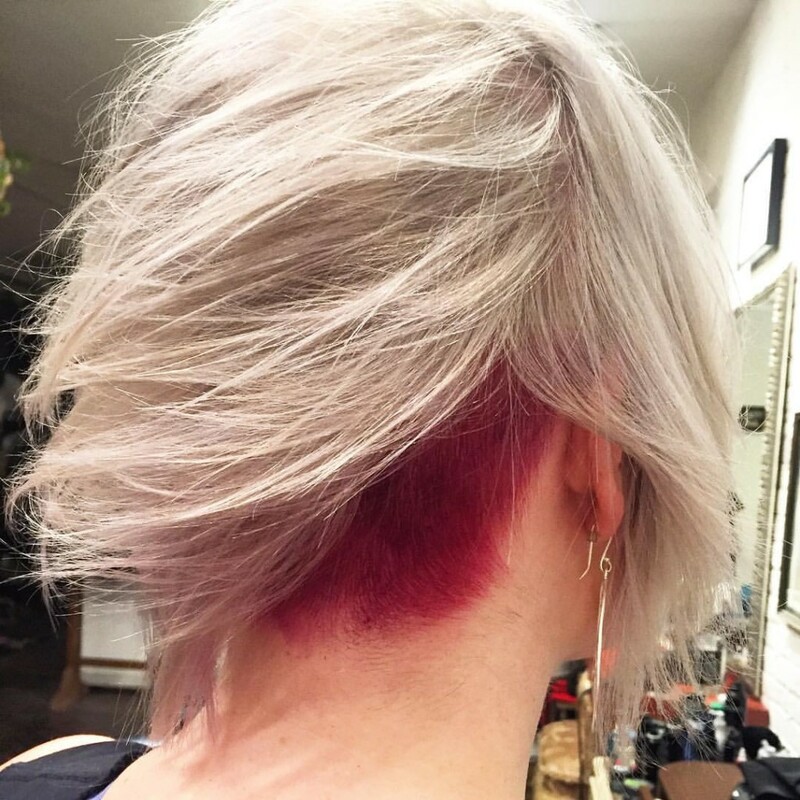 There’s lots to explore with versatile panel hair coloring! 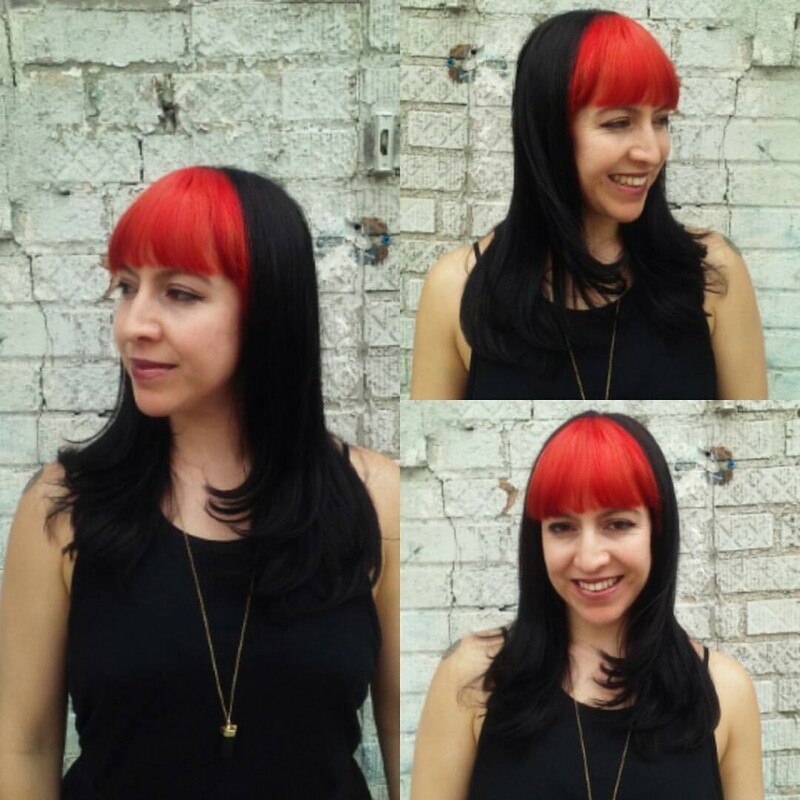 Maria Lina outdid herself with this killer crimson red bang panel and drool worthy cut! 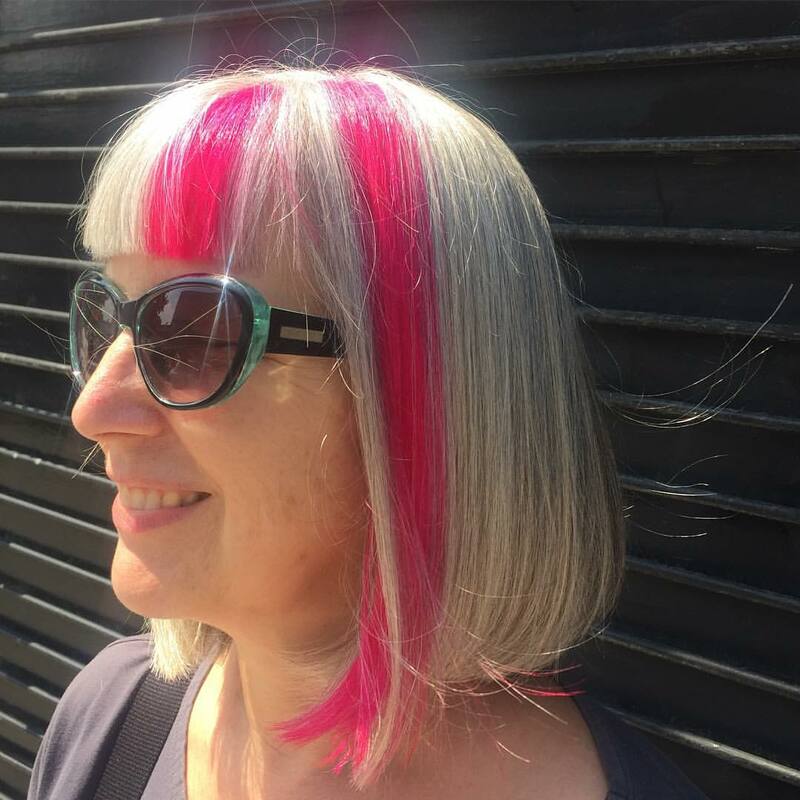 Kristin gave our client Pink Panels and killer bangs for her college reunion. 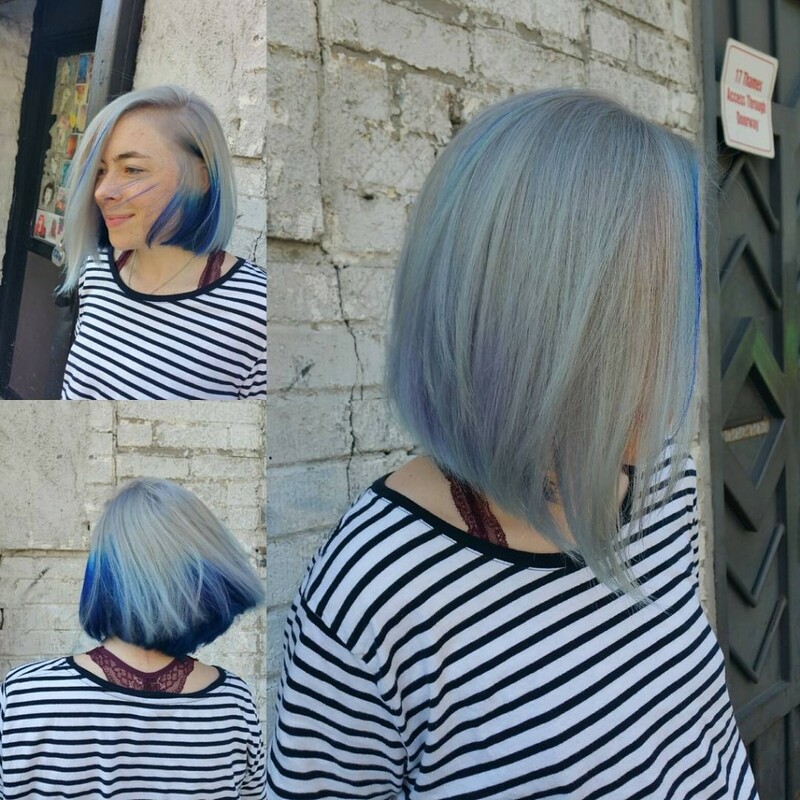 Donna Rae did a large peek-a-boo blue panel to give this steely platinum a pop of color. Here’s a great example of a hidden or peek-a-boo panel on our double process client. If you can’t go full on unicorn why not do on the underneath! Cut and color by Kristin Jackson. Are you sold on panels yet?! To achieve this looks hair is pre-lightened and color deposited on a section of hair. Cost is similar to accent hi-light starting at $90 for one panel additional cost for more than one or multiple colors. 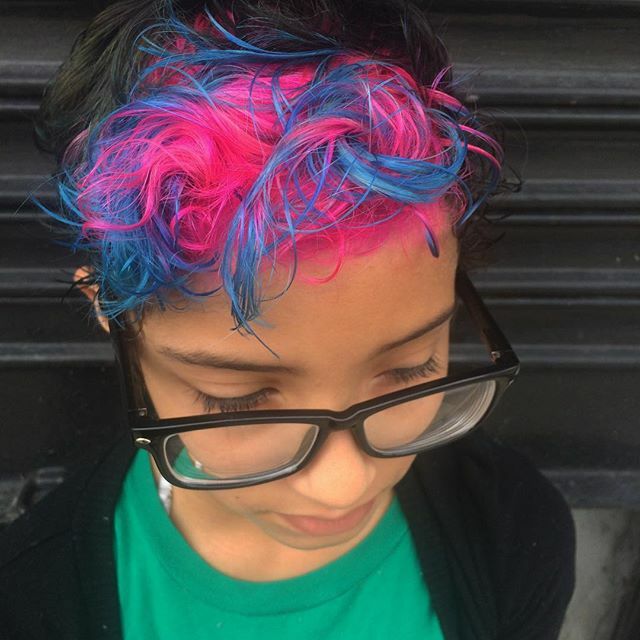 This entry was posted in Uncategorized and tagged blonde, bushwick, fashion, greenpoint, haircolor, hairsalon, kenra, olaplex, pravana, punk, redken, tomahawksalon, williamsburg. Bookmark the permalink.